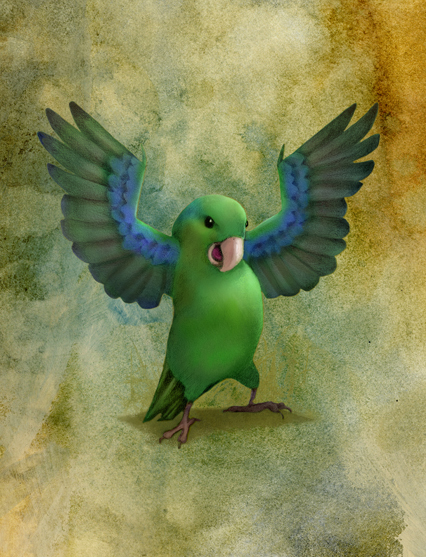 This is Sancho the bird from a book I’m working on. I’ll post more soon. He’s supposed to be a Parrotlet, which I am relieved to see looks a great deal like a Quaker parrot except they don’t have the white face and belly. I love this! It’s beautiful.